On Friday August 3rd, Montgomery Home Care Assistance participated in the 16th Annual Alzheimer’s Professional & Family Caregiver Conference at Frazer UMC. This event is a chance for caregivers in the community, professional or otherwise, to come out and learn about new research and other useful information related to Alzheimer’s disease and dementia. There were also breakout sessions the caregivers could attend based on the topics that best fit their career or situation. 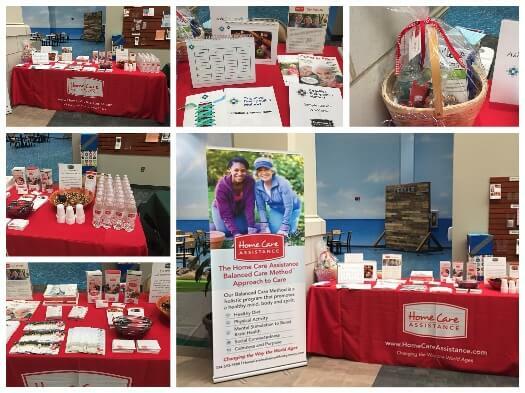 There were multiple booths setup with helpful information and goodies for the caregivers and even chances to win awesome door prizes. Kristy Butler, the Owner of Home Care Assistance Montgomery, demonstrated the Cognitive Therapeutics Method (CTM), which is an activity-based program exclusive to Home Care Assistance. CTM was designed to boost the mental acuity, overall engagement, and happiness or older adults. A good time was had by all who participated, and there was some great information to assist caregivers with their care of individuals with Alzheimer’s and dementia. For more information on our premier Alzheimer’s and dementia care, Montgomery families can call Home Care Assistance at (334) 593-3988 today to speak with one of our knowledgeable Care Managers.